Now u dont have to be one among the many who uses the typical grey and black ones. For all those who are interested in having a better outlook of their laptops besides its functionalities, Dell would be your choice. 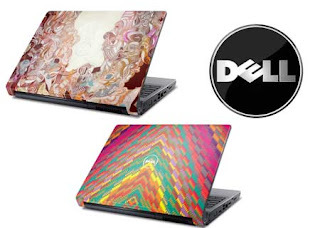 Dell is the first to introduce a collection of customized art for your laptop.More designs are available for Studio 15 and Studio 17 models.Gives a rich look and a sense of pride to the one who owns it. But the sad part is tat its available only for Studio laptops and not for the inspiron ones. Lets just hope tat these design comes in inspiron as well in future.